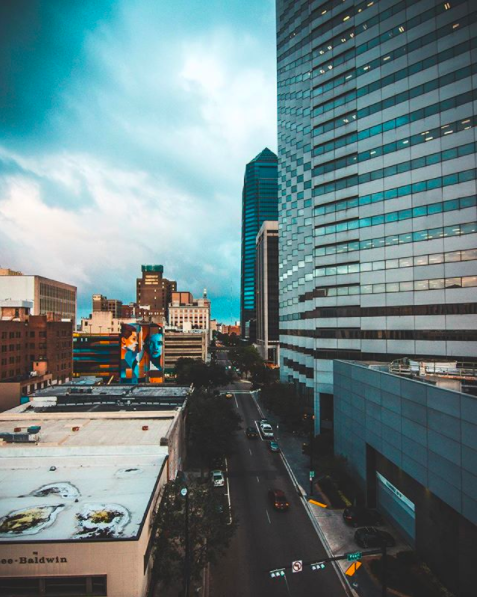 With major development projects on the horizon and more people coming to live and work in Downtown Jacksonville, it has become a great place for entrepreneurs and small businesses to put down roots. There are so many businesses that are unique to DTJax, some that you may have heard of as well as a few hidden gems. “Found in DTJax” is your guide to the shops, restaurants and venues that you can ONLY find in Downtown Jacksonville. When the founders of FORGE first experienced 3D printing on YouTube, they were immediately inspired by the potential of that technology. Having little access to the materials and machines necessary to begin their creations, they traveled 200 miles to Tampa to bring custom manufacturing to Jacksonville. Founded in 2013, FORGE made 3D printing technology accessible in Jacksonville by offering simplified digital manufacturing technologies to inspire innovation locally. This technique is changing the world and is capable of bringing the joy of creation to everyone. FORGE is an attitude sharpened by the challenges and passion that innovation creates. For all of your tech needs: FORGE designs modeling for manufacturing, prototyping and creates digital presentation assets for web or video. 3D modeling (the product of design) is the process of developing a representation of any surface of an object in 3D using specialized software. FORGE also specializes in 3D scanning, such as full color 3D printed miniatures of loved ones, pets and special occasions. It brings your images to life! Something you didn’t know you needed, but now you do. You can even book appointments here. Since the beginning, FORGE has been using 3D printing to provide on demand, custom manufacturing solutions. They’ve had samples created from every current technology and design around those limitations. They create fast prototypes of your innovations and inventions, and can produce trophies that will become sentimental souvenirs. Have a project that needs more than printing? They design logos, websites and promotional services and can support your product as it enters the market. Plus, FORGE offers branding and development services, too! Stop by FORGE 3D today and check out their studio and works! #FORGEyourFuture. Easter is only a few days away! That means that it’s time to make plans, find a delicious brunch location or festive event for the whole family to enjoy. #DTJax has plenty of family-friendly options to celebrate the holiday and make lasting memories. Easter Sunday Brunch at NOLA MOCA | 333 N. Laura St.
From 11:00 a.m to 3:00 p.m., brunch will include a buffet of fresh salad greens, pastries and an entree from the menu. Cost of tickets also includes admission into MOCA’s art galleries. You can call to make a reservation at 904-224-0113 and purchase your ticket here. River City Brewing will be holding their Easter Sunday Brunch from 10:00 a.m. to 4:00 p.m. They will be offering a breakfast station, a seafood station, a cold station with fruits and veggies, a carving station, hot entrees and assorted desserts. You can find more information by visiting their website and make reservations by calling 904-398-2299. Easter Bash at Sweet Pete’s Candy | 400 N Hogan St.
Sweet Pete’s highly anticipated Easter Bash has been extended another day! Easter Bash Day 2 will commence on March 30 from 3:30 p.m. to 7:30 p.m. Activities will include an appearance from the Easter Bunny, story time with Mother Goose, marshmallow decoration, style crafts and taffy pulls. You can purchase tickets here. Bay Street Bar and Grill | 119 E Bay St.
Bay Street Bar and Grill opens at 1:00 p.m. and offers a laid-back atmosphere with traditional pub meal options, plus some choices that lean more toward fine dining for a fantastic dinner. Breezy Jazz Club | 119 W Adams St.
“Jacksonville’s Coolest Breeze” is open from 12 to 4 p.m. for Sunday brunch, serving up a unique atmosphere full of music and delicious tastes. Juliette’s Bistro (inside the Omni Hotel) | 245 Water St.
Juliette’s Bistro is open from 11-2 for Sunday brunch! Enjoy a variety of brunch favorites including southern-style plates like chicken and waffles, and bottomless mimosas. You can also check out our latest blog post that lists many unique chocolatiers around #DTJax that also offer yummy and festive Easter treats! Everyone’s favorite sweet treat is chocolate; that’s why we celebrate it for an entire week. In 2018, March 18-24 is American Chocolate Week and what’s a better excuse to cheat on your diet? #DTJax is overflowing with options of decadent chocolate snacks at every turn, from Laura Street to the Jacksonville Landing! We have chain stores and small businesses that have become a staple of #DTJax that offer a unique taste of our beautiful city. Founded in 1977, Coastal Cookies offers fresh, handmade cookies with delicious flavors like chocolate chip, peanut butter, oatmeal and more that you don’t want to miss out on! Mocha Misk’i Brownie Shop | 209 N. Laura St. Described as “Possibly the best brownies in Jacksonville” by Jax Restaurant Reviews, Mocha Misk’i was founded in 2015 by sisters Helga and Pilar on 209 N Laura Street in #DTJax. Their brownies and signature brownie sushi rolls are handmade from scratch, with vegan, gluten-free and nut-free options. You can also order boxes of their deliciously crafted brownies with messages on them for birthdays, holidays and other special events! Peterbrooke Chocolatier | 100 W. Bay St.
You can find one of the largest arrays of chocolate treats around on 100 W Bay Street. Baskets of chocolate covered popcorn, oreos, almonds, blueberries, cherries, pretzels, and graham crackers await you at Peterbrooke! Whether you’re a fan of milk chocolate, dark chocolate or white chocolate, you can find it all here. Sweet Pete’s Candy | 400 N. Hogan St.
Sweet Pete’s manufactures handcrafted, quality chocolates and over a thousand different candies at 400 N Hogan Street since 2010. You can host birthday parties, attend interactive activities like Sweet Pete’s Science Class and candy-making classes. Create a box of signature chocolates and candies to give as a gift (or keep for yourself), as well as gift baskets and more! Satisfy your sweet tooth and discover new places in #DTJax during American Chocolate week. Check out our full directory here for tasty restaurants, lively bars and unique cafes. At the 2018 #DTJax Gala: Vintage Circus, we presented the third annual #DTJax Awards to celebrate the people and projects that make Downtown Jacksonville a better place to live, work, visit and invest. The Downtowner of the Year Award honors an individual who has demonstrated inspirational leadership and has made strides to create and support a vibrant Downtown. This year, we recognized two people as Downtowners of the Year for their joint work and dedication to chronicle Downtown Jacksonville’s growth in a brand new publication: J Magazine. Mark Nusbaum has served as the president of The Florida Times-Union since 2012. Prior to that he was vice president of operations for Morris Publishing Group, which owns the Times-Union. Mark is also the publisher of both the Times-Union and J Magazine. Frank Denton is currently the editor-at-large for both the Times-Union and J Magazine. Frank is also the vice president for journalism for Morris Publishing Group. Together, Mark and Frank brainstormed a way to record proposed ideas, current developments and the overall rebirth of Downtown: J Magazine. This quarterly publication—what they’ve called unabashed advocacy journalism—is 100% focused on Downtown. With the first issue being published this past June, J Magazine has already made waves in the Downtown community, reporting on themes of ownership, history and attitudes towards Downtown. Congratulations, Mark and Frank, on your success of continually looking forward to Downtown development, keeping note of the journey to a bolder Downtown Jacksonville.